Canyon Lake hideaway sits on secluded 1.24 acre double lot. Expansive deck wraps to 2 sides & has a lake view. Vintage architectural details include high ceilings, wood beams, original hardwood/parquet floors, spiral staircase, wood burning stove, stained glass window, & brick interior wall. Modern details include granite kitchen counters, lots of windows & open floor plan. Two living areas on separate floors. Deck elevator for easy 2nd floor access. Walk to Turkey Cove boat ramp. Ample guest parking. Shed. 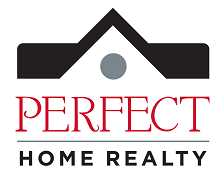 Mary Nielsen, is a leading real estate broker in San Antonio and owner of Perfect Home Realty. Her real estate experience started as a young child working with her father, a real estate agent and investor. She settled in San Antonio long term in 2011 and entered sales full time in 2013. Mary holds the Accredited Buyer Representative (ABR), Counsel of Residential Specialist (CRS), Graduate Realtor Institute (GRI), Military Relocation Professional (MRP), & Historic Home Specialist (HHS) titles, Bachelor of Fine Arts (BFA), Master of Arts (MA) in counseling, and Master of Engineering Science (MES) in Computer Science. Mary serves on the REALTOR® Image & Community Outreach committee and is a participant in the 2019 Texas Realtor Leadership Program. With Mary’s history and experience with 8 moves around the country, she has a particular passion for families in need of relocation and people searching for new home construction. Mary has helped 80+ families with $14 million in sales. Mary has personally invested in real estate since 1997. She has built a personal single and multi-family home portfolio of over $2 million in value, and is partnered in two apartment complexes totaling 417 units. She is a regular volunteer with Texas Ramp Project, Animal Defense League, and Haven for Hope. Client education & consistent communication are cornerstone to her business. Mary Nielsen is ready to be your trusted full-service real estate consultant.